Deals AirAsia Valentines Day Sale! AirAsia Valentines Day Sale! Lowest Domestic Airfares from ₹1083 Limited Period Offer. Hurry! All taxes must be paid at the time of purchase unless otherwise stated. Guests travelling need to provide all necessary travel documents (eg valid passport, visa where applicable etc) at the time of departure. Only available for online bookings at Via.com Website & Mobile App. Airline reserves the right to deny guests from boarding without proper documentation. How can I book flights at Rs. 1083 ? 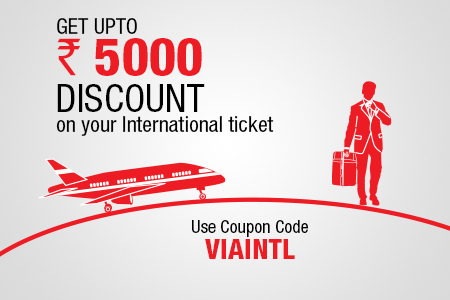 The offer is on select AirAsia flights.